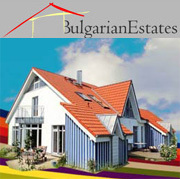 Bulgarian estates LTD offers to your attention two-room apartment for sale in the Nobel Hotel Sunny Beach in Bulgaria. 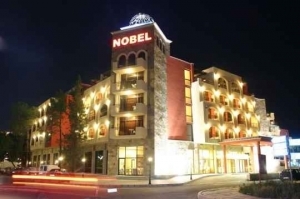 The Nobel Hotel Sunny Beach is located on the waterfront in the southern part of Sunny Beach, next to the dunes and the beach. It is close to the town center and offers design accommodation. You will enjoy the beautiful nature here with view to the sea and the unique dunes. The hotel provides two restaurants – main spacious and smaller one. It offering Serbian cuisine and the both restaurants has sunny terraces facing to the sea. There is also a lobby bar, exchange desk, individual safety deposit boxes, a supermarket, hairdressers, a medical center, conferment hall etc. The hotel offers for your convenience an outdoor swimming pool with a specially protected area for children and a pool bar. There is also a SPA center in the resort which offers such services as indoor swimming pool, a fitness center, sauna, steam bath and solarium. For fun there are also disposed tennis table and a billiard. The guarded parking area enough for 30 vehicles is provided. The apartment for sale in this amazing complex extends to 63 sq. m of living area located on the third floor on the west part of the building. It provides a living room with a kitchenette, a bedroom and a bathroom. Also you can enjoy the spacious terrace. As you can see on the photos the apartment is renovated completely furnished. 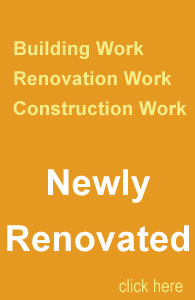 Don’t hesitate to contact with us.